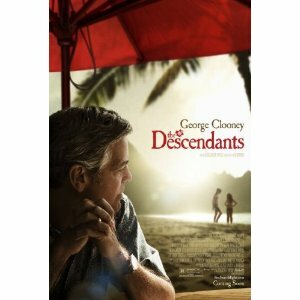 WorldMovieStore - The Descendants Sinopsis. Only Oscar-winning writer-director Alexander Payne (Sideways) would think to cast the famously handsome George Clooney as a disheveled dad in his outstanding adaptation of Kaui Hart Hemmings's tragicomic novel. Clooney dials down the glamour to play Matt King, a Hawaii real-estate attorney with a propensity for unflattering shirts and ill-fitting trousers. As Elizabeth's condition worsens, Matt contacts friends and relatives, like her fiercely protective father (Robert Forster), so that they'll have the chance to say goodbye. --Kathleen C. Fennessy. Read More Sinopsis. 0 Response to "Blu-ray Release The Descendants"